In Gornji grad, in the atrium of the Croatian Natural History Museum, the Amadeo Stage, the only multi-purpose stage in Zagreb, this year too brings us a rich cultural programme. It’s enough to say it – the Amadeo Stage! This year, the festival’s 18th, will be completely the same as the previous ones, packed with great theatre performances, concerts, films and short evening dialogues. Sitting opposite presenter Milana Vuković Runjić for the “Short Evening Dialogues” will be Tereza Kesovija and Matej Meštrović, among others. Cinkuši, Zagreb Soloists and Lado will be performing and Toni Cetinski will be singing. There will be an art exhibition by Dora Kovačević, a concert by Matija Dedić and Merima Kljućo, as well as Aljoša Juranić and Petrit Çeku. 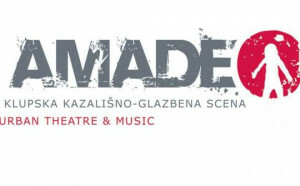 In the past seventeen years on the Amadeo Stage, as well as eleven theatre premieres and twelve musical ones by Croatian composers commissioned for the Amadeo Stage, there have been almost 800 theatre performances, concerts of classical and jazz music and a programme of films, with performances by some of the most respected names in the Croatian theatre, musical and film scenes as well as selected foreign artists. This year’s programme does not lag behind at all with respect to those impressive numbers. Audiences from Zagreb, and increasingly abroad, will once more pay pilgrimage to this unique dramatic space, the atrium of the Croatian Natural History Museum.